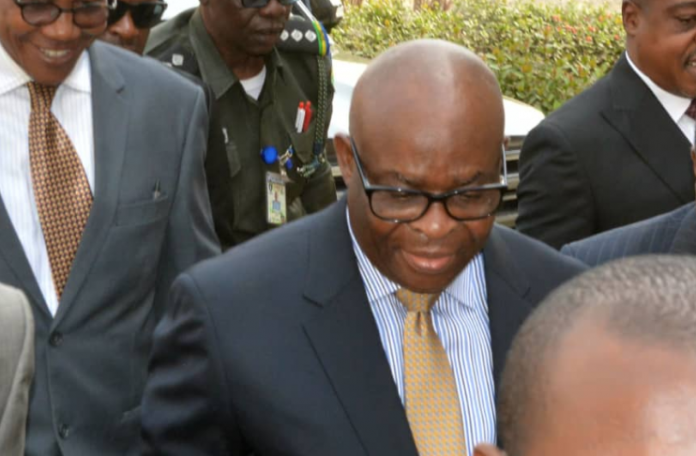 The Code of Conduct Tribunal has fixed April 18, 2019 to deliver its judgment and rulings in the alleged non-declaration of assets charge against the suspended Chief Justice of Nigeria (CJN), Justice Walter Onnoghen. The tribunal fixed the date after the adoption of final addresses by both the prosecution led by Aliyu Umar, a Senior Advocate of Nigeria (SAN) and Okon Nkanu (SAN) for the defence team. Onnoghen, in his final arguments, maintained that the prosecution failed to prove the six-counts beyond reasonable doubt as required by law and urged the tribunal to dismiss the case. Nkanu maintained that the statement made by Onnoghen to the Code of Conduct Bureau was not confessional, as alleged by the prosecution. He added that the charges were incompetent and unconstitutional as they were based on the provisions of the Code of Conduct Tribunal and Bureau Act, which were in conflict with the relevant provisions of the constitution. He urged the tribunal to hold that the prosecution, indeed, proved the case beyond reasonable doubt and “return a guilty verdict”. Chairman of the tribunal, Danladi Umar, while adjourning till Thursday for judgment, said the decision would be delivered along with two pending rulings on Onnoghen’s applications: One challenging the jurisdiction of the tribunal to hear the case and another one asking the CCT chairman to disqualify himself from further presiding over the case for being allegedly bias. While the Federal Government called three witnesses to maintain that it has established a prima facie case against Onnoghen to warrant his conviction, Onnoghen, on his own, part closed his case after calling his driver, a 60-year-old Lawal Busari, who told the tribunal that his boss had declared his assets. Although the suspended CJN has tendered his resignation letter in the aftermath of the recommendations by the National Judicial Council (NJC), for his compulsory retirement, the charge against him has not been withdrawn. In a final written address of April 11, 2019, Umar asked the tribunal to convict Onnoghen. “We humbly urge your Lordship to hold that the prosecution has proved its case beyond reasonable doubt and proceed to convict the defendant,” the prosecution said.